Whether you’re searching for a graduation gift for your boyfriend, your brother, your son or your grandson (or some other guy entirely), we have an idea for you! Regardless of whether they’re graduating from college or high school, there’s something that they’ll love here. 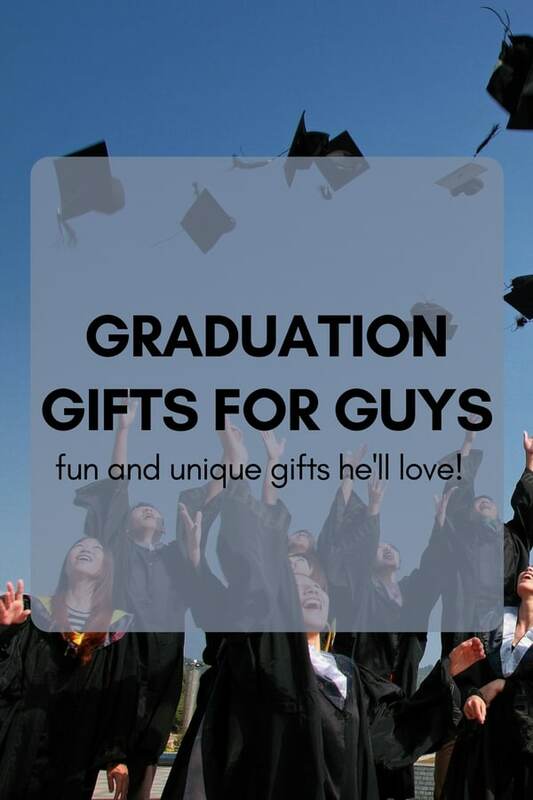 These unique and creative graduation gifts for guys are sure to be a hit! Sometimes life is loud. That’s why noise cancelling headphones make for such a great gift! Whether he uses them while studying, working out, taking the bus, or any other reason, these are a thoughtful gift that he can appreciate and use daily. Sometimes people forget things or lose things or misplace them. It happens to all of us. That’s why a Tile Finder makes for a great, useful gift. They can use it as a wallet finder, a phone finder, a key finder or an all of the above finder. All guys need their downtime. If he likes to spend it by watching tv or movies, consider gifting him a Roku or a Roku Express for his graduation present. You know your guy is going to do great in whatever he’s doing next. Prove it to him by giving him this Why You’re Gonna Do Great book. 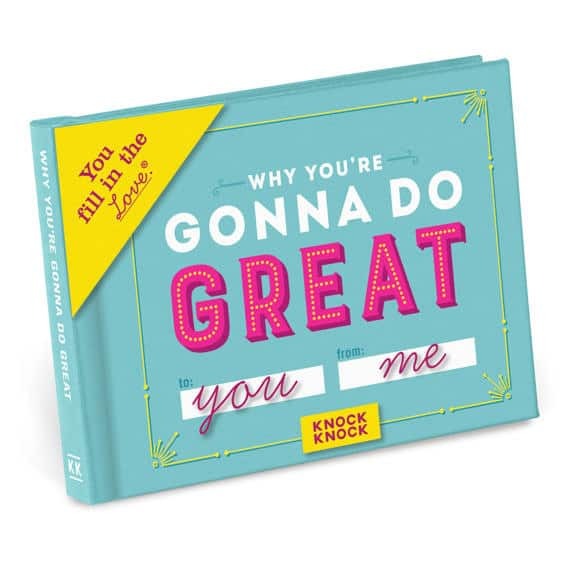 It’s a fill in the blank book with 112 pages that you can make as personal as you want; make it funny, sweet or a mixture of the two! Guys just wanna have fun, even when doing homework or working. If that sounds like your man, then get him a Mini Bean Bag game for graduation! Besides just being a cool desk accessory, it’s also loads of fun. This funny gift is a great idea for your brother, boyfriend or any guy with a sense of humor! If he wants to be prepared for anything (and we mean anything), then there’s no better gift than this Zombie Apocalypse Survival Kit. It includes a compass, first aid supplies, candles and more! Add his initials to these Personalized Cuff Links for a great graduation gift! They make a great gift for any guy who will need to get dressed up every once in a while. Help him keep his money safe with a stylish Personalized Money Clip. It’s a great way to keep money and credit cards safe, and you can personalize it with his initials! Every man need a good army knife, so why not get him a Personalized 10 Function Army Knife for graduation? Besides having a variety, you can add his initials for a customized touch. If you’re searching for useful gifts, then a Personalized Writing Pad is for you! It’s perfect to take with for interviews or any other official events he might attend. If his new job requires suits and ties everyday, then help make sure his shoes look the part to by giving him a Shoe Shining Kit. At some point, ramen noodles and instant mac-n-cheese are no longer considered acceptable to eat daily. That’s why the Thug Kitchen cookbook is a great gift! It’s full of recipes that are easy enough for anyone to cook. 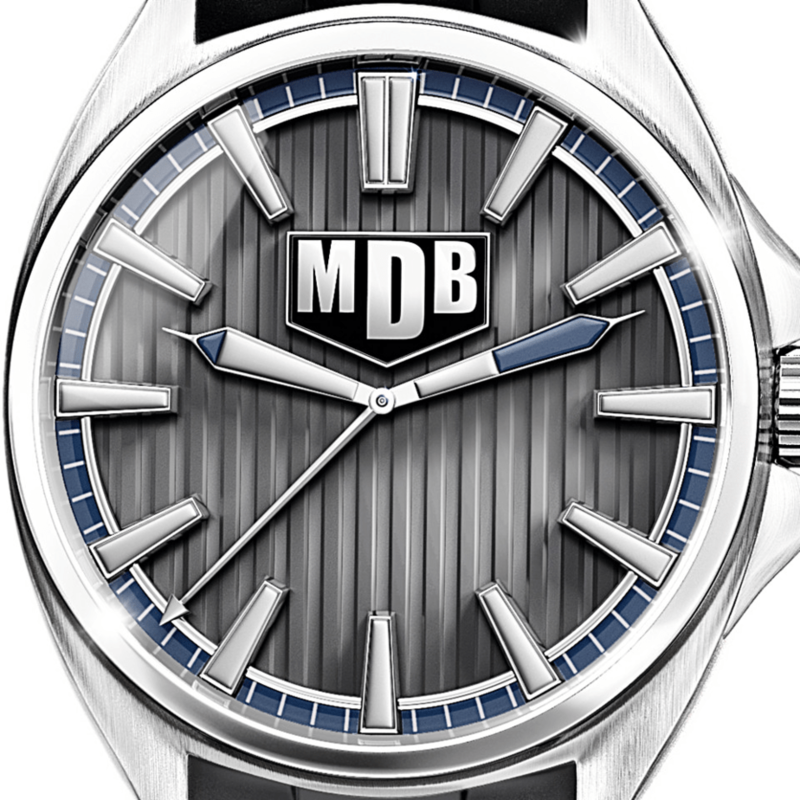 This beautiful, engraved Strength of my Son Watch is personalized with his initials. It’s a thoughtful gift he’ll be able to appreciate and wear for a long time coming. 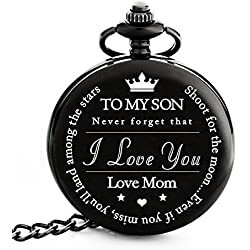 This beautiful, thoughtful gift is great for any mother to give her son. 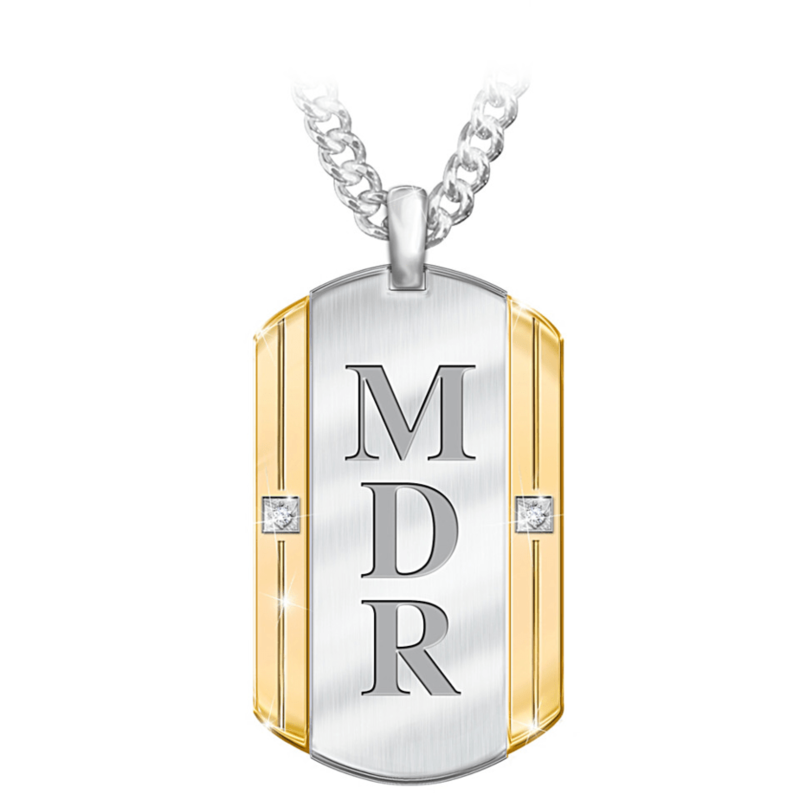 You can personalize this Beloved Son Pendant Necklace with three initials. 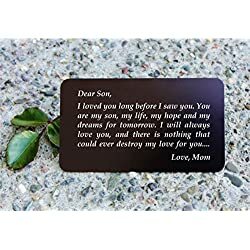 On the back, an inscription reads “To the man you’ve become and the son you’ll always be I love you.” It’s a wonderful gift! A Small Tool Kit is not a popular item on college packing lists, but inevitably, someone will need a screwdriver or a hammer for something while moving in. If you want to be the most popular guy on the floor, bring one and lend a hand when needed! If your guy will be coming home often, or if he’ll be using the on campus gym, then a duffel bag is a great, practical gift! There’s always a variety of colors and styles to pick from, so you can chose one he’ll love. 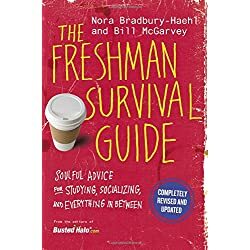 Practical and insightful, The Naked Roommate is great for any guy who’s starting his freshman year! 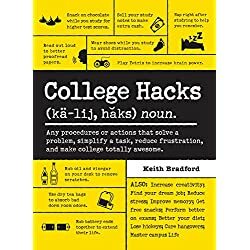 It’s filled with tips and hacks that will make the transition from high school to college smoother. 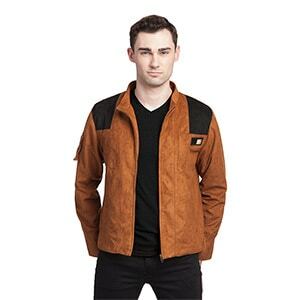 If your guy is into Star Wars, get him this Han Solo Jacket! It’s the perfect gift for any geeky dude, as it’s both practical and fun. 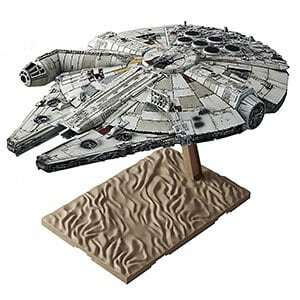 If your dude loves Star Wars, then this Millennium Falcon Model is the perfect desk gift for him! It comes disassembled so he can have fun putting it together and, when finished, it’s a perfect scale model. There’s no cooler way than to take shots out of these Laboratory Shot Glasses. Represent the STEM field by drinking! Searching for a graduation gift for her? 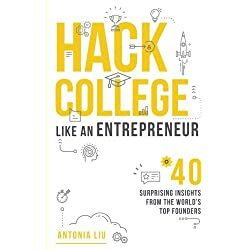 Check out our guides for College Graduation Gifts for Her and High School Graduation Gifts for Her.